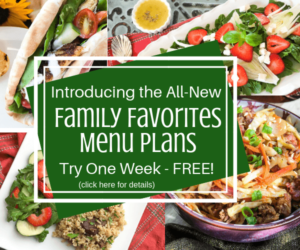 Looking for something easy and fun to make with your kids? Maybe you are thinking of starting a new holiday tradition? Do you need a special dessert to double as a decoration? Try making a Gingerbread House. 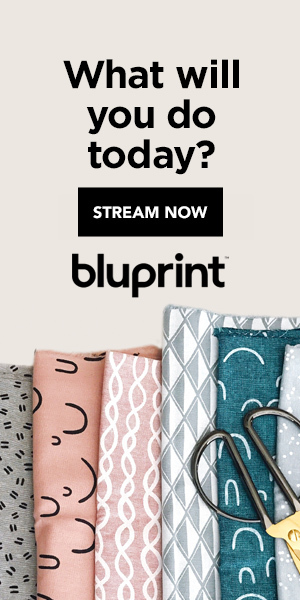 Yes, you could buy one of those prebaked kits that have been sitting on the shelf for who knows how long. Or you could make them with graham crackers. Or you could pull together some basic ingredients you probably already have in the house and bake one yourself. 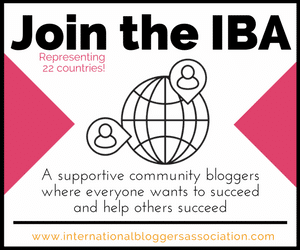 It is so easy – TRUST ME! I vividly remember holiday time at my babysitter’s house in my preschool years. Her kitchen table and counter would be lined with Gingerbread Houses she made for neighbors and friends, including my family. This is from the original copy of the recipe she gave my mom decades ago. I have made it a few times, including in a post years ago that I decided needed some new photos. Luckily my helper was more than happy to assist me with the decorating while I snapped the pictures. Making a pattern with mints on the roof. 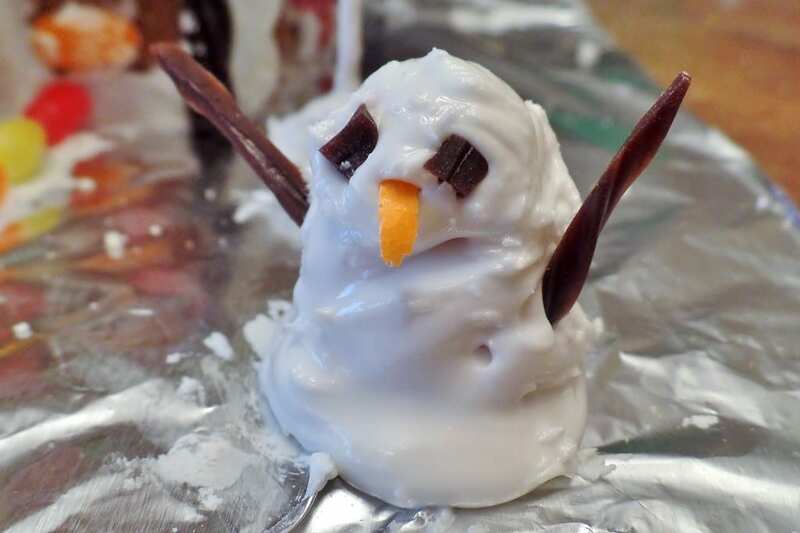 Candy covered in royal icing for a friendly snowman. Now and Laters shaped into a wreath for the door. J had a blast making it, as evidenced by the royal icing all over the table and him. Little tip for you, royal icing gets hard when it dries. You probably want to clean up as soon as you are done decorating to make your life easier. 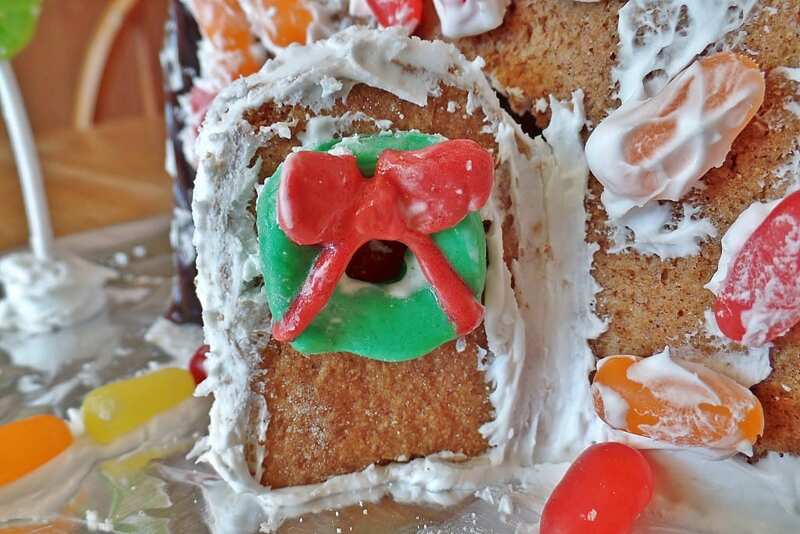 While it is traditionally made for Christmas, you could make this for any time of year: a haunted house, a log cabin, a romantic cottage, the Easter Bunny’s house. With a little imagination and a trip down the seasonal candy aisle it can be so many wondrous things. 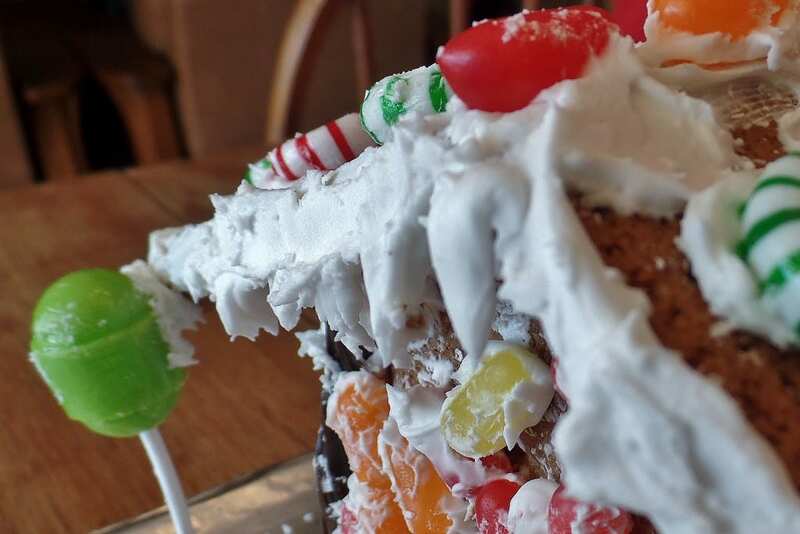 Make your own Gingerbread House that you actually want to eat. candy for decorating gun drops, candy canes, mints, hard candies, etc. Mix all gingerbread ingredients thoroughly and chill for several hours. Preheat oven to 300 degrees F. Line a 16 x 10 baking pan with parchment paper leaving a few inches over the edge to help remove bread from the pan. Roll (press) dough into the pan as evenly as possible and bake at 300 degrees for 20 -30 minutes. Remove bread from pan and cut immediately. 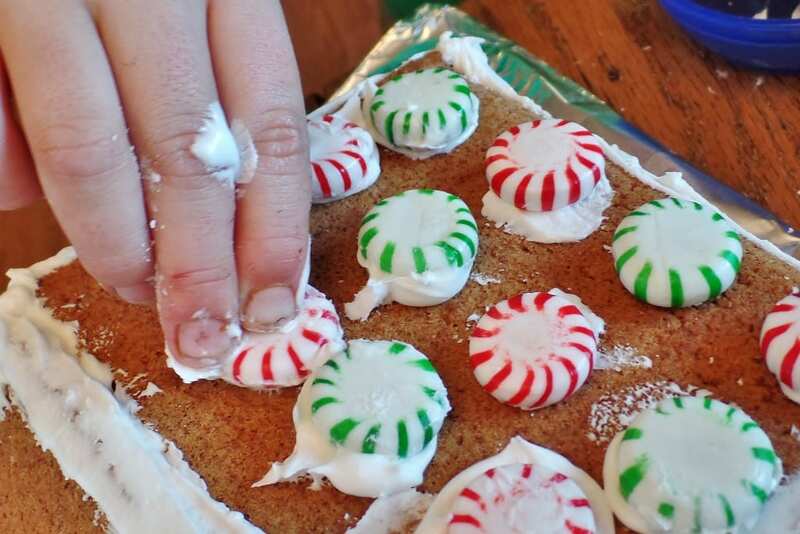 Allow the gingerbread to cool completely before assembling. The gingerbread should be very hard when cooled (if necessary, the pieces can be laid back on a cookie sheet and placed in the oven for 5-10 minutes longer). The roof sections will break off if the dough is not thoroughly baked. When ready to assemble make the royal icing. Beat all ingredients in mixing bowl until icing stands in peaks, then keep the bowl covered at all times with a damp cloth as this icing dries very quickly and becomes very hard. Place icing in a decorator bag to pipe on decorations (or a plastic bag with the tip cut off). Or you can use a knife or spoon. 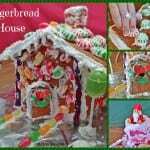 Assemble house and attach candies with the royal icing. How cute! Our family used to have a boys vs. girls gingerbread house decorating contest with those kits you can buy. We should start from scratch one of these years! My BFF from high school does that too. Sounds fun. Beautiful ginger bread house! We make one every year from scratch. Last year it was the Millennium Falcon from Star Wars and this year we are trying to make Hogwarts from Harry Potter. Wow! 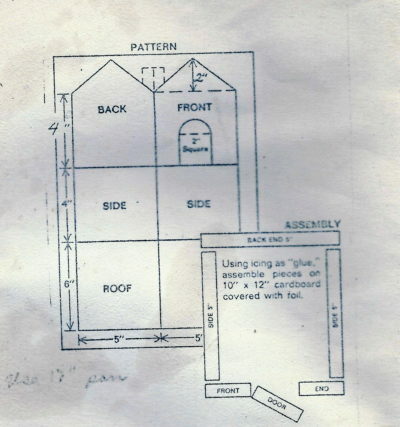 I am proud we got up 4 walls and a roof, ha ha! 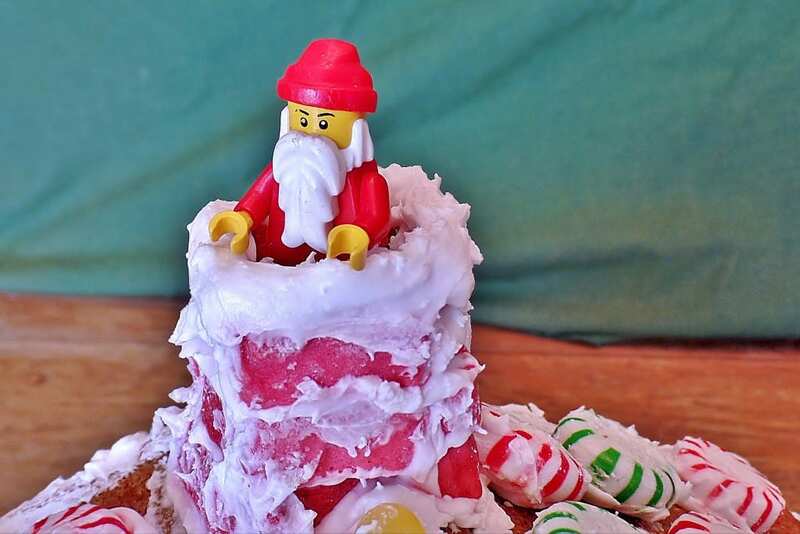 I just let my son decorate it how he wanted and didn’t worry how it looked – he had a blast. 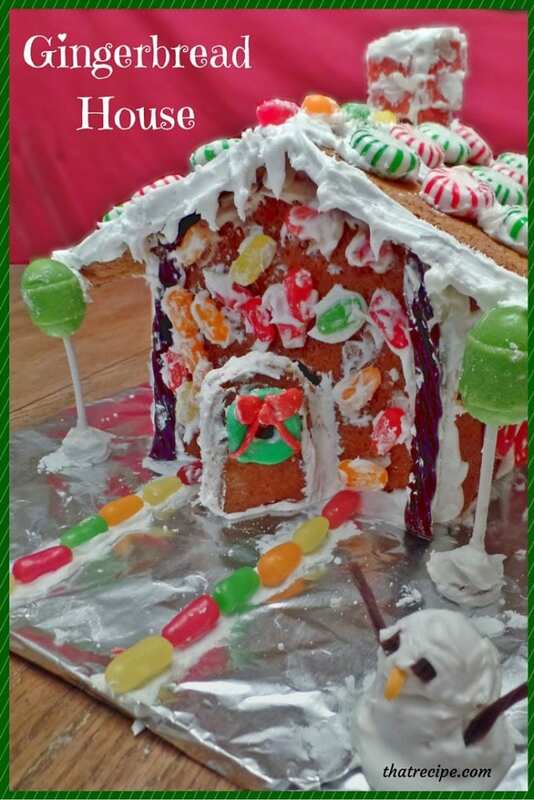 My kids and I love to make Gingerbread houses at Christmas! I’ve never baked my own though. I’m going to have to try your recipe! I should make it an annual tradition, my son loved it. It is always fun to make. 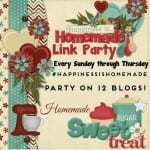 It’s been another great blog party weekend with you at the #HomeMattersParty. Someday I would like to do a bunch of them. But for now my helper limits me to one. And they have been sitting in that plastic for how long?